Its first appearance in the game is in the Honeyhive Galaxy, with further occurrences in Gold Leaf Galaxy, Sand Spiral Galaxy, Sea Slide Galaxy and Honeyclimb Galaxy. 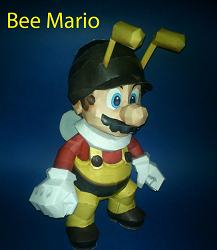 This entry was posted in mario on 30/07/2014 by ToyXD. you make running a blog glance easy. The full look of your site is magnificent, as smartly as the content!